We’ve got a fresh roundup for you to check out on Wednesday of the best paid iPhone and iPad apps of the day that are on sale for free. There are eight apps on today’s list that are all available as free downloads, but only for a limited time until the developers decide to start charging for them again. Hurry up and grab them while they’re free! 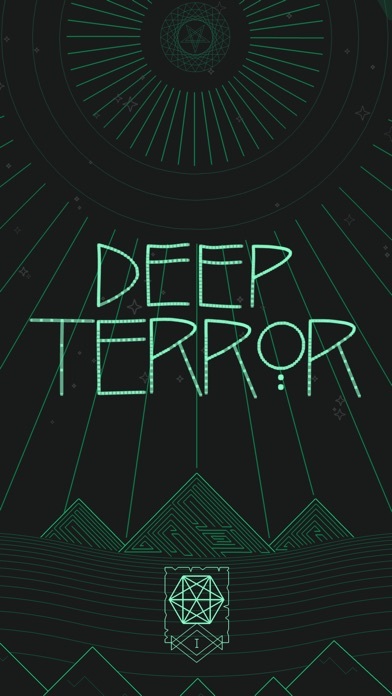 “Deep Terror” Is in your hands, the invocation book that will take you to the core of human horror. To get there, you must wander different landscapes, solving enigmatic puzzles that will allow you to confront beings from beyond who will give you the knowledge you need to make the final invocation. 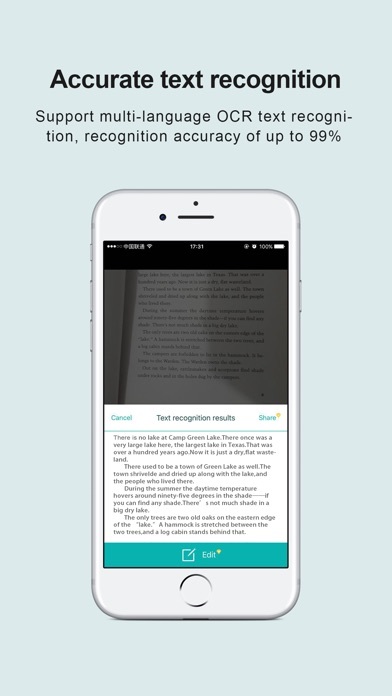 1.Mobile Scanner —-scan and manage your document that may include multipage. 2. Fast scan in batch—-scan continuously in batch without process waiting, which is fast and convenient. 3. Automatic side cut—-utilize professional image processing algorithm to automatically help you cut the images. 4. Image enhancement—-ensure document is clear and readable. 6. Multi-sized PDFs—-more than 10 PDF sizes are available (Letter,A4,B5, etc).You can customize the size or use self-adaption mode. 7. Save image to image library—-conveniently process images so as to save them to image library. 8. Email—-send your documents (PDF) or processed images by email. 9. Add Header—-seach page of document may add headers, which can be searched. 10. Custom category—-set custom category for your document to achieve convenient management and search. 11. Multiple browse modes—-support browse modes, such as list and document-categorization. 12. Copy—-support function of document copy to achieve convenient document management. 13. Search—-Fast locate documents by searching document headers, page headers, etc. Over 150000 people track their time with BusyBox! Visualize your activities for the current day. 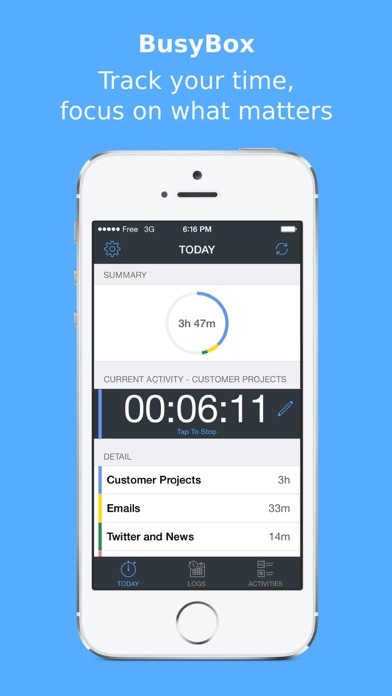 Track the total time you spend on each activity. If you need to log more details about your tasks, you can associate notes to your task logs. Logs can then be filtered by note contents. Export your activity data to an excel file that can be read in excel, open office or any spreadsheet software. The notes are also exported to the excel file. Open the excel file in any app that can open excel files on your iPhone. Send the excel file via email. So,what are you waiting for? Download YConvert and start converting units NOW! Passport Photo Studio brings you the biggest collection of photo effects and filters available for iPhone. Get creative and make amazing photo styles. 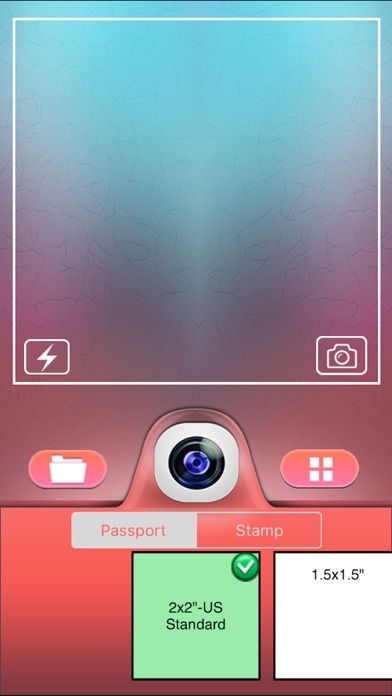 Passport Photo Studio is the biggest collection of photo filter effects available on iPhone and frame effects to help you snap the perfect photo. “I’ve tried several different mileage and odometer apps. 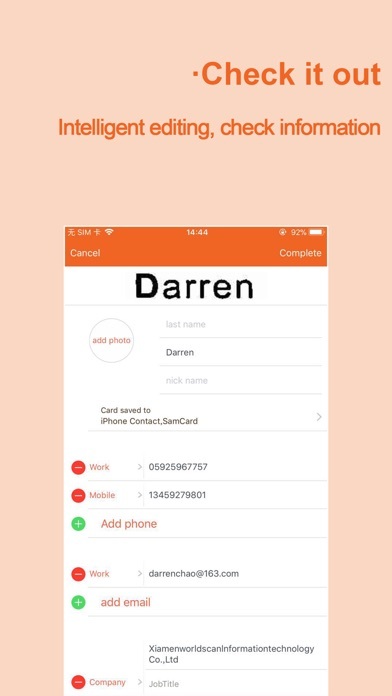 This app really has the flexibility to make things as simple or as complex as you need them … Highly recommended! Turn your miles into MONEY in 2017! IRS deduction rate is 53.5₵ per qualifying mile. Don’t miss your chance to claim for business, charity or medical drives. 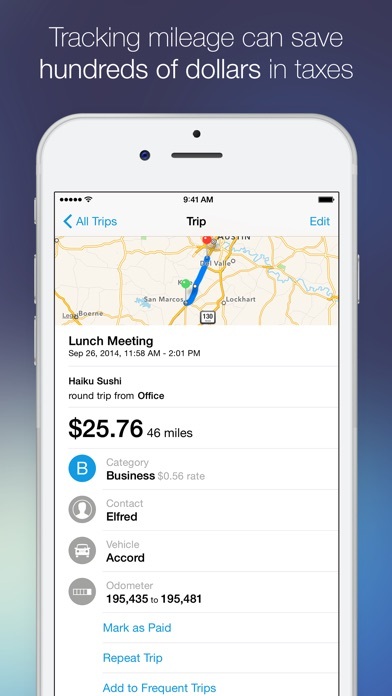 A 10-mile trip can earn you $5.35! This app is a practical solution for busy families who take education seriously: the best way to learn math and have fun. Endless. Kids Monster Creator – early math calculations using voice recording and make funny monster images is suited for any child aged 4 to 8 years, English and non-English speaking child/family. Kids Monster Creator – early math calculations using voice recording and make funny monster images concept is based on parent’s opinion and teachers who wanted better learning tools available for their kids. We believe that creativity and learning must work together and should build self-confidence and a deep understanding of the learning concepts. 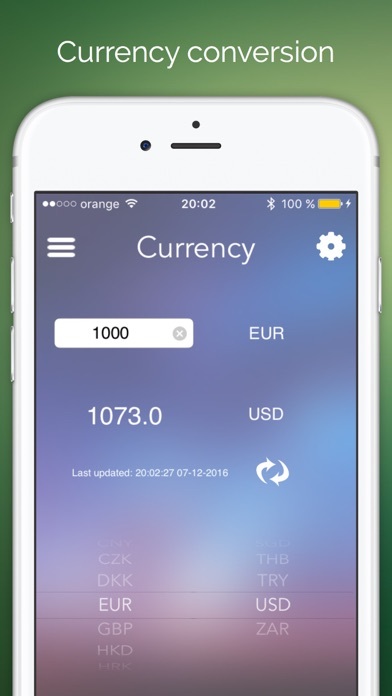 Our app is a combination of 2 types of app in 1: endless creativity + math basic calculations. We believe that kids can reach their potential by learning at their own pace. The app calculations offer 140 basic math interactive elements in a fun and creative way and over 330 awesome graphic elements that will keep your child creativity in an endless process. 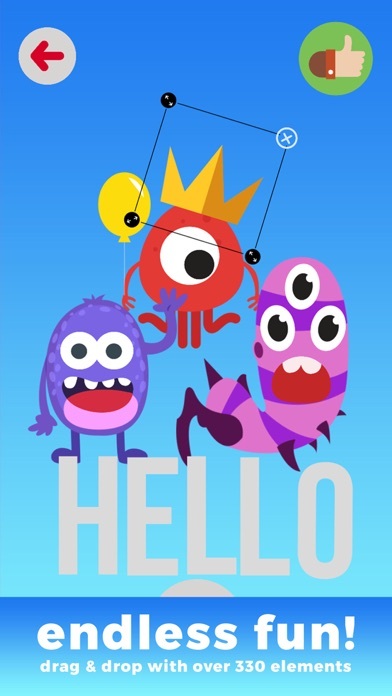 Kids Monster Creator – early math calculations using voice recording and make funny monster images is based on a multi-level learning method interacting hearing, seeing and touching in reaching the highest potential in every child’s brain. It is neurological proven that multiple stimulations of the brain leads to a better memory and this is what we will do with this powerful app. Kids Monster Creator – early math calculations using voice recording and make funny monster images allows parents, grandparents, teachers or kids to record their voices using the correct result. The kids will easily refer to the correct number and by hearing, seeing and touching the number will be easily memorized and move forward for the next quiz. This is a fun, interactive and smart way of memorizing at this age (4-8) the correct math results using addition & subtraction math games. As a creative app – Kids Monster Creator – early math calculations using voice recording and make funny monster images – gives the child the opportunity to develop his creative skills by making cute monsters using more than 330 elements specially designed and selected. Children may build his/her own little monster and play in different colours and shapes. As a math app – Kids Monster Creator – early math calculations using voice recording and make funny monster images – is introducing your child inside the number’s world where little cute monster creatures displays arithmetic quizzes with multiple-choice answers for your child to select. You can join in by recording the correct answer or encourage your child to do it and save it for later. Our app is kids tested and kids safe. No ads, no personal information collection, no In-App Purchases, no GPS or location services, no direct Internet access from the app.